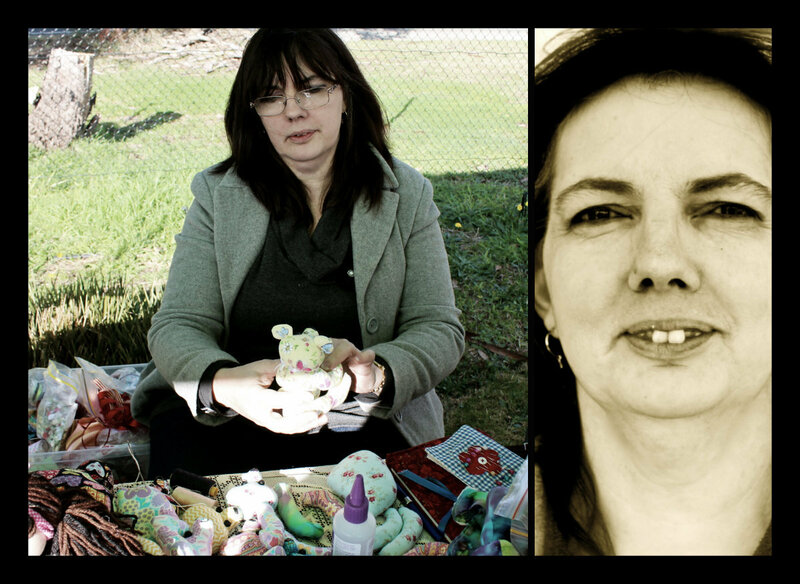 At the Belgrave South Community Market in Oct 2014 when I first laid eyes on Leah's dolls. Leah Arbuthnott of The Calico Co has been crafting for as long as she can remember. 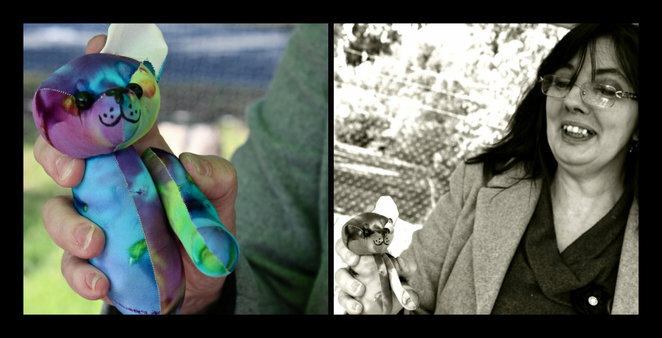 Her mother was a great influence in her life and a fine example as she herself was into craft. By the age of eight, Leah was already knitting jumpers, making dresses for dolls and crocheting as well. Taught by her mum at times they would collaborate in their knitting efforts with mum knitting the main body and Leah the arms. Belgrave South Community Market, Gilmore Court, Belgrave South. 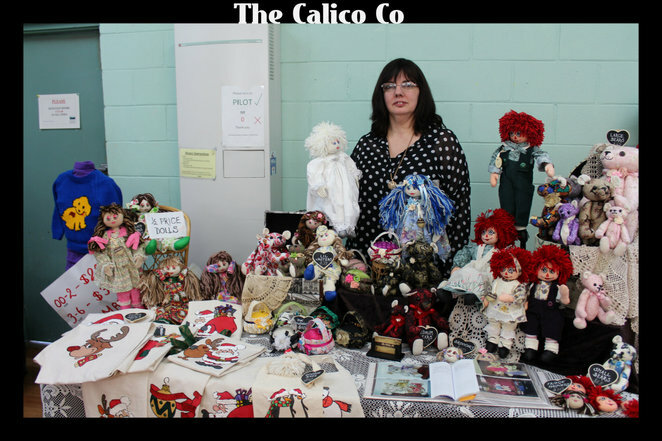 When her daughter was little, she didn't like the 'hard bits' on regular dolls. Like all mothers, her creative instincts kicked in and she started making cloth dolls which had no hard parts, as well as their clothes. That was twenty five years ago when she used to make them for family as well, using commercial patterns. Raggedy Ann and Andy, and what Leah has sensitively named as Golly Girl and Golly Boy, appeared on the scene ten years later. Fifteen years on, she has started creating her own patterns after a lot of experimenting. Leah has been on the market trail for over 20 years. If you 'like' her Facebook page, you'll always be 'in the know' as to which market she's going to be at next. If you click on her 'shop now' button, it'll take you to her Etsy page. Recently Leah came across her very first sewing book her mum gave her in 1969 and is rediscovering some exciting patterns from days of old of elephants and cats. Customers are already buying them and using them as decorative cushions. One customer has requested some ladybugs so she's in the midst of creating those too. 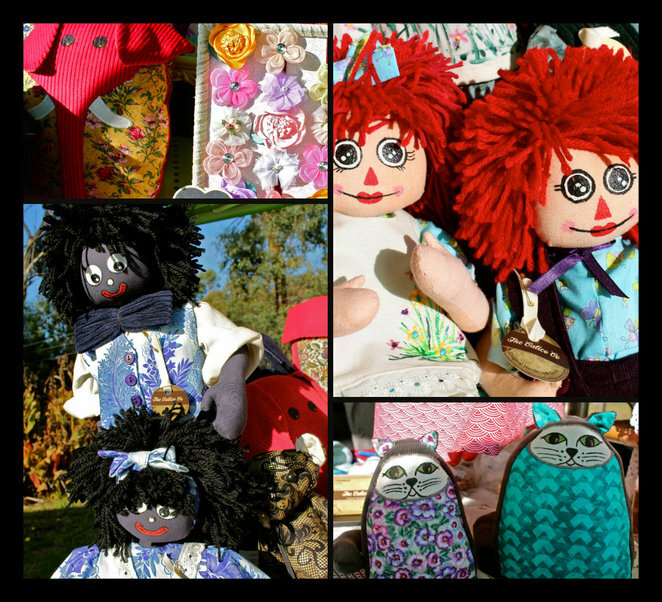 She buys her fabrics from quilting stores, Spotlight and online. Her fabrics inspire her and gives her ideas which can come from anywhere and everywhere. A colour, a fabric, a bead, yarn; all this can lead her on a journey of creating yet another original piece of work. 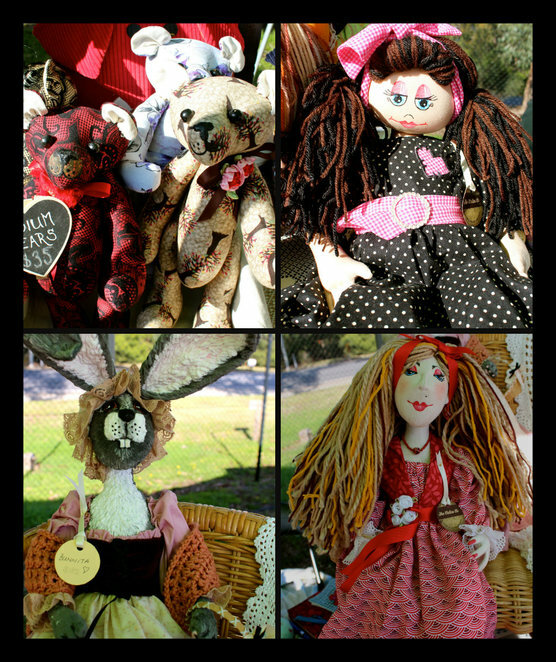 Making up stock and orders every chance she gets - the face behind the beautifully hand made items. Leah can cater to your specific needs as far as colour combinations go for her one of a kind creations. You can even thrill your little girl by having a 'mini-me' made for her in her colouring and it doesn't stop there. There are lots of big girls who like dolls as well. I for one have to admit to loving her Raggedy Ann and Andy as well as the Golly Boy and Golly Girl. They're just precious. The next time you're at a market where Leah has a stall, stop by and say hello to this lovely talented lady. 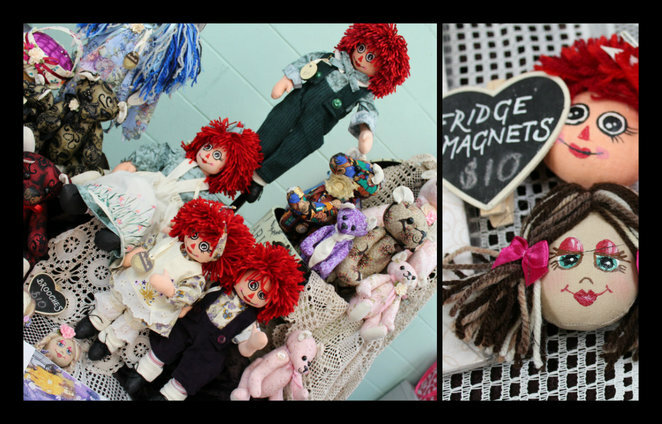 Nostalgia: Raggedy Ann & Andy; Golliwogs; Cats & Elephants from a time gone by. Why? For handmade sculpted original design cloth dolls and bears and more.